Getting your garden soil ready is important for both you and the planet; it's one small thing we can do to ensure our children's future. If each and every one of us helped capture a little carbon dioxide from the atmosphere we could perhaps get it below 400ppm again; the alternative is even more violent climate change. This page was last updated by Bernard Preston on 13th April, 2019. Garden soil acts as a carbon sink, by releasing carbon dioxide into the air as land is cleared of vegetation, and storing the gas as we mulch, compost, cover crop and use rotational grazing. In fact there is about three times as much stored in the top metre of soil as there is in the whole of the atmosphere. When we abuse the earth it releases that carbon into the atmosphere, contributing currently about 25% of the global greenhouse gas emissions. For the first time in three million years the level of carbon in the atmosphere has risen above 400ppm; it's no coincidence that in 2016, we experienced the highest temperatures ever. By getting your garden soil ready before planting you are reversing this process, and enabling the earth to again capture that excess carbon back from the atmosphere and to store it where it belongs below the surface of the ground. It's known in technical terms as the sequestration of carbon. A compost pile is not the most tidy item in the garden and if you are particularly house-proud, and a perfectionist, it may take some getting used to. There are such things as compact compost bins, but they are so small and expensive that I find it hard to recommend them and justify the cost. In response to the comment about his working area, Einstein remarked that if a cluttered desk was the sign of an untidy mind, what does an empty area symbolise? If we want a habitable world for our grandchildren, then each of us will have to contribute in our tiny, individual ways. Recycling makes a good start, and from there collecting our vegetable waste from the kitchen and starting a compost pile is the next obvious step, untidy though it may be. Only if you are totally besotted about backyard permaculture need you start thinking about harvesting rainwater and sunshine, and growing organic fruit and vegetables. It all starts with getting your garden soil ready. Getting your garden soil ready is vital since it will then become a carbon sink and help prevent global warming. There are many benefits for you personally; a sense of purpose in a largely meaningless world, better health, less medication and the possibility of reaching your eighties without the loss of your marbles and joints, for example. Those who have never tasted food grown in compost, freshly picked, will never know what they are missing out on. The flavour of lettuce straight from the garden to the salad plate, green peas and corn without delay into boiling water, and firm new potatoes are a daily joy for those who love their dinner, and are prepared to spend the time in the veggie patch. Would you rather just go to McDonald's? Then I can't help you, I'm afraid. Starchy foods have come under the hammer of late as one of the primary causes of obesity yet we find that straight from the garden they have not affected our waistlines in the slightest. I can't help wondering if the glycemic index of freshly picked corn on the cob is not substantially lower than that from the greengrocer, eaten days after reaping; certainly the taste is quite different. A diabetic patient reports that new potatoes, straight from the ground before the haulm is poisoned, have no affect on his blood glucose, but ordinary spuds from the supermarket do. This year I'm going to test the effect or new corn versus old on my blood glucose. 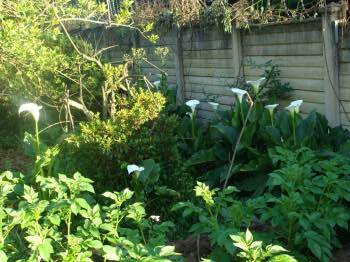 The arums in the background make a lovely backdrop to the potatoes. But I stray from the point; where do you start with getting your garden soil ready? Find a corner of your land that is if possible midway between the kitchen, lawns and flower beds, on the one hand, and the vegetable garden; being able to easily empty the compost bin, and barrow the grass and prunings is important; hiking this compostable material long distances is a fag. So too if you are going to add a few bags of horse manure say, it's not going to break your back carting it from your parking lot to the bottom of the garden. Then there needs to be a mix of dry and green compostable material; get it from wherever you can and start layering it down in an alternating manner; do not compress the pile as it needs plenty of oxygen. 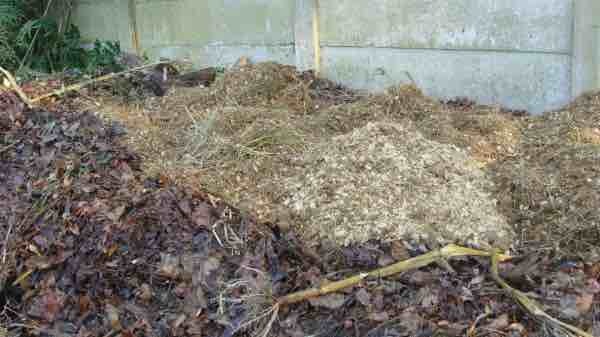 Dry corn stalks make an excellent base to the compost heap, for example. Grass cuttings will get the temperature up and adding a source of nitrogen like horse manure will greatly contribute to a healthy source of humus in a couple months' time. 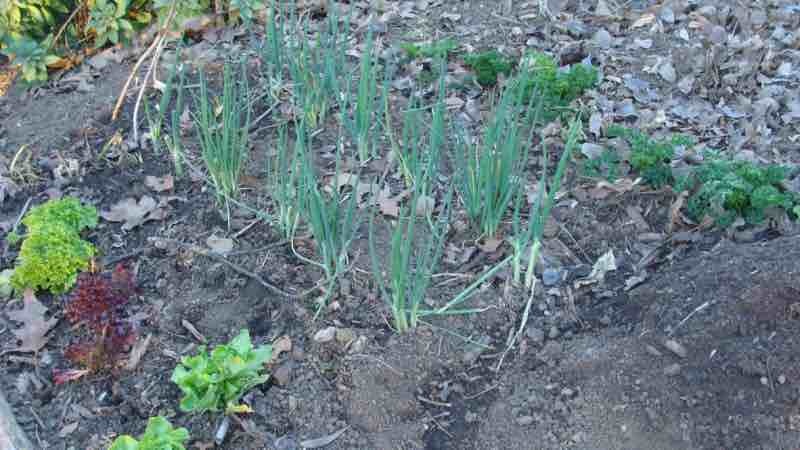 Nothing works better than mulching your vegetables if you are thinking about getting your garden soil ready. Autumn is the season when we beg our neighbours to bring us their leaves, rather than send them to the dump. They can go on the compost pile too, obviously. 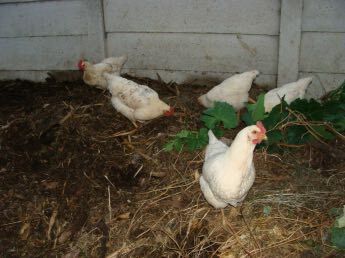 Keeping your own free-range chickens is another huge topic on its own; they provide the nitrogenous poop that your garden soil needs and they scratch for the larvae and grasshoppers that can decimate your vegetables. But they do need to be managed correctly, or they will root out your tiny seedlings too. Carbon is captured from the atmosphere in this plant material and returning it to the earth is the perfect way to reduce greenhouse emissions and getting your garden soil ready simultaneously. In technical terms, scientists call it 'soil organic carbon', or SOC. The availability of water is large factor in this soil carbon sequestration from the atmosphere. 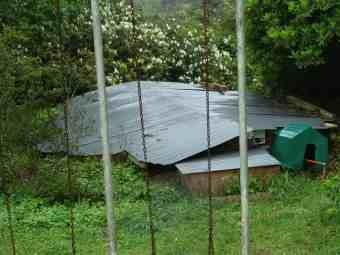 From our backyard permaculture standpoint, we advocate the harvesting of rainwater and storing it either in fibreglass tanks (plastic, though cheaper, doesn't last) or better still an underground reservoir that keeps it very cold and thus potable. This is our 7,000 gallon reservoir; with a few supplemental above ground tanks we have enough water for the whole year; not only does it help keep the compost heaps damp in dry periods, thus contributing to getting the garden soil ready for planting, but obviously for irrigation of the plants as they grow. Healthy garden soil with plenty of compost and a covering of mulch also increases its water holding capacity, requiring less irrigation, and increasing the potential harvest. What's your water innovation? Scientists have shown that between 50 and 70% of the soil carbon stock is lost to the atmosphere once the soil is cleared of vegetation; and it takes 20 or more years to replenish the earth. It's a slow process that every serious garden and farmer is in engaged in; carbon capture. At the same time you are getting your garden soil ready for a bountiful harvest for the table. This one square metre patch for example will provide ample lettuce, spring onions and parsley within a few weeks for our salads. Notice the mulch. Getting your garden soil ready is one excellent way to prepare yourself for the certainty of water scarcity in the world in many parts of the world; it's capacity to retain moisture is greatly increased. 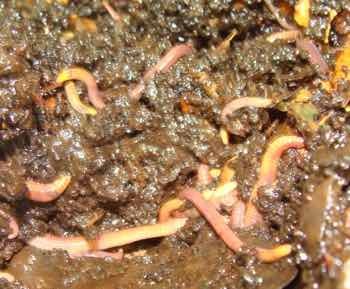 Interestingly, and confusingly perhaps, large densities of animals such as cattle or pigs releases nitrogenous gases into the atmosphere adding to the greenhouse effect, but adding organic manures to your compost; and hence to the earth making it one of the most important ways of improving your soil organic carbon (SOC). Here are our hens scavenging in the compost heap for grubs and worms, and simultaneously adding their organic chicken litter that greatly improves the breakdown of the vegetable material. Chickens in the garden are our delight; pets that give a healthy return of free range cage free eggs for the money and time invested in them. Other important ways of reducing the loss of carbon to the atmosphere, to repeat, are rotational use of the land, not tilling deeply and spreading generous amounts of compost over the soil. We try to follow a heavy feeding crop like potatoes or corn with a legume like green beans or peas. This all helps to restore our beautiful planet in some small way, and of course is vital way of getting your garden soil ready to produce a bountiful harvest. Delicious food straight from the garden is our way of getting the anti-inflammatory and anti-oxidant substances into our bodies to help prevent arthritis and cancer, for example. That means planting and enjoying plenty of legumes that restore the nitrogen to the soil. What are legumes may be a question you are asking. And lastly I cannot overemphasize the influence that the wonder of worm farms has had on our garden. Fruit trees are groaning under the weight of fruit and broad beans are growing to over five foot and we're having to think of new ways to support them, as never before. Briefly, on a separate but directly related topic, is ocean acidification. Those greenhouse gases lower the pH of our seas. In the last 250 years, since the start of the industrial revolution, scientists have found that a 30% increase in the acidity of our oceans. Whilst increased CO2 benefits sea algae, it has a very serious inhibitory effect on shellfish, corals and oysters for example; they are unable to make their shells. The death of the Great Barrier reef is just one example. By getting your garden soil ready for planting you are in some small way making your contribution to stopping the ocean's pH from dropping further. Read more about this complex topic at what is ocean acidification?